„Die Wüste“, 1935, ink and watercolor on paper. 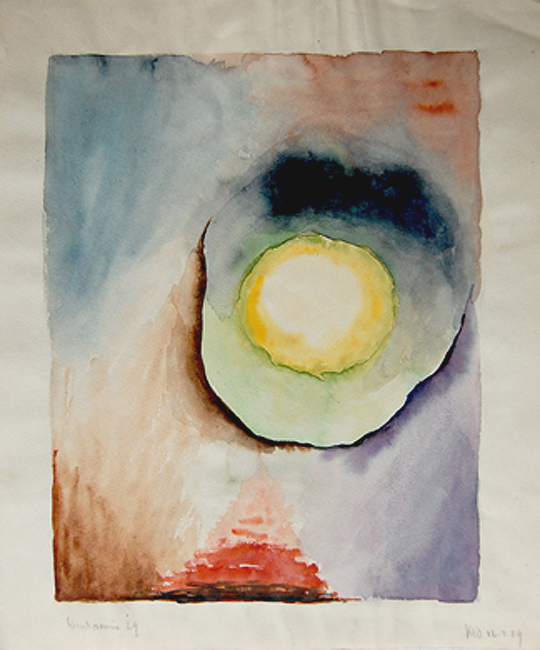 „Wintersonne“, 1929, watercolor on paper. On the reverse is a rather traditional landscape. Monogrammist „KW“ is most likely a German or Austrian artist active in the 1920ies to 1940ies. 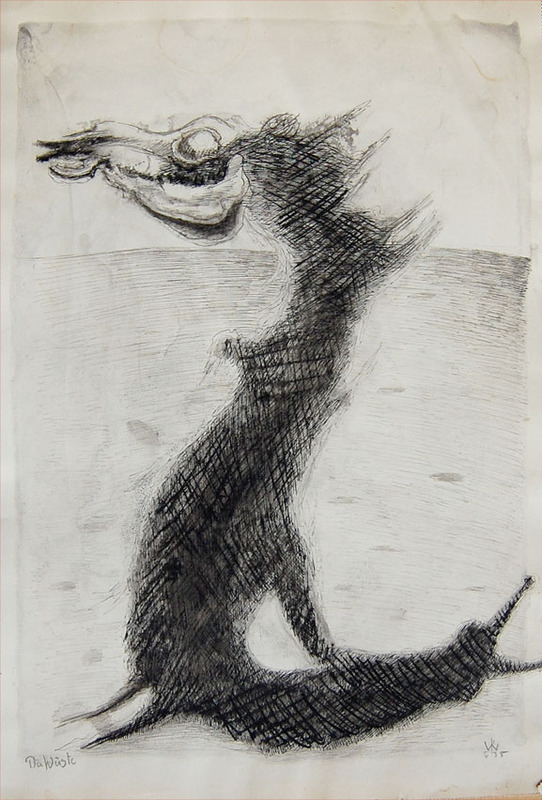 Several other surrealist works on paper are known in different collections. The artist couldn’t be identified so far.